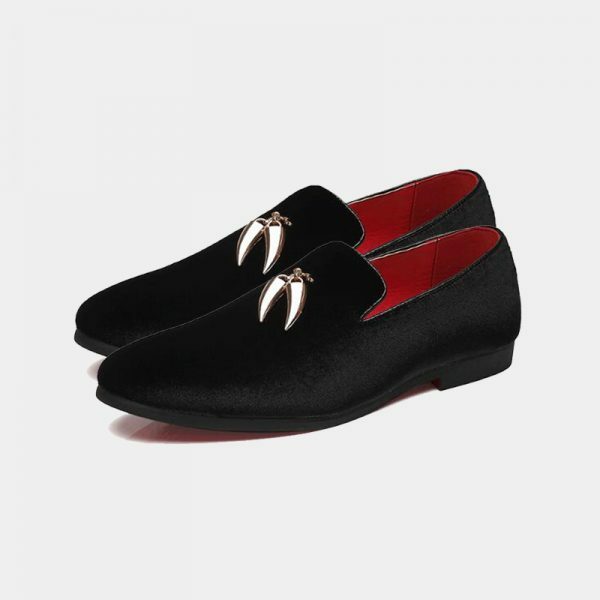 Are you looking for ways to give your wardrobe the Midas touch that won’t empty your wallet? 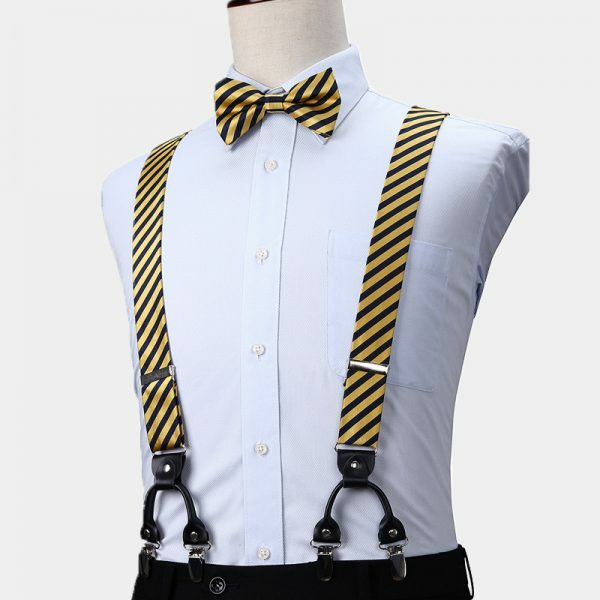 This gentleman’s gold striped bow tie and suspenders set is the way to do it. 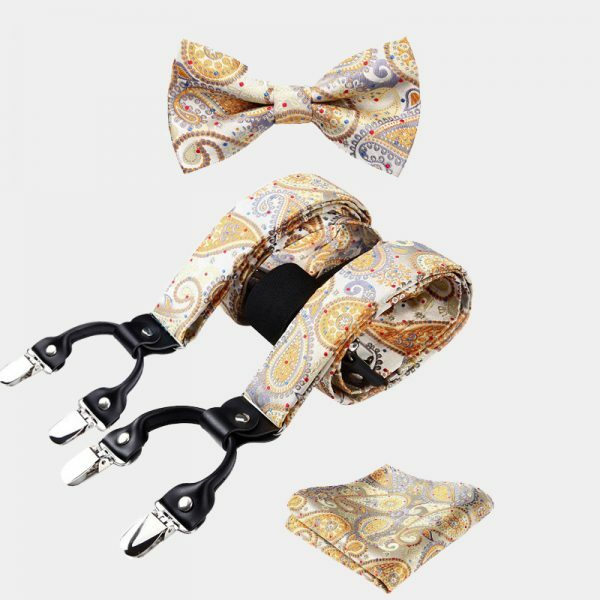 This top-notch set of accessories is a wise choice to add to your business wardrobe as well as to your casual one. 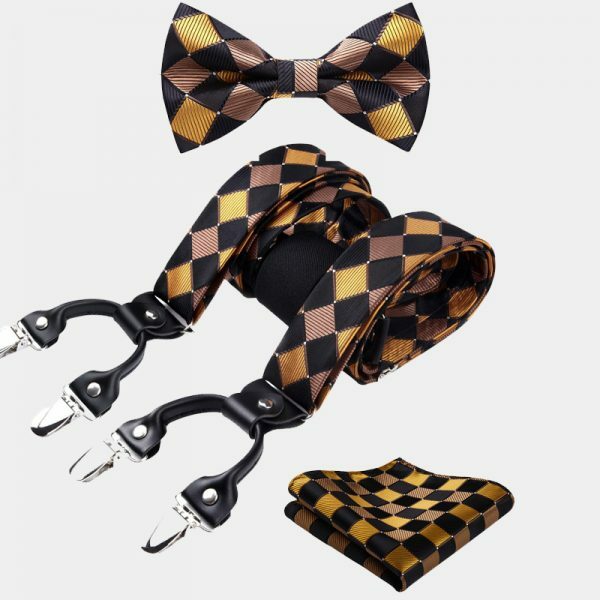 This gentleman’s gold striped bow tie and suspenders set can also make an eye-catching alternative accessory to add to your formal attire. 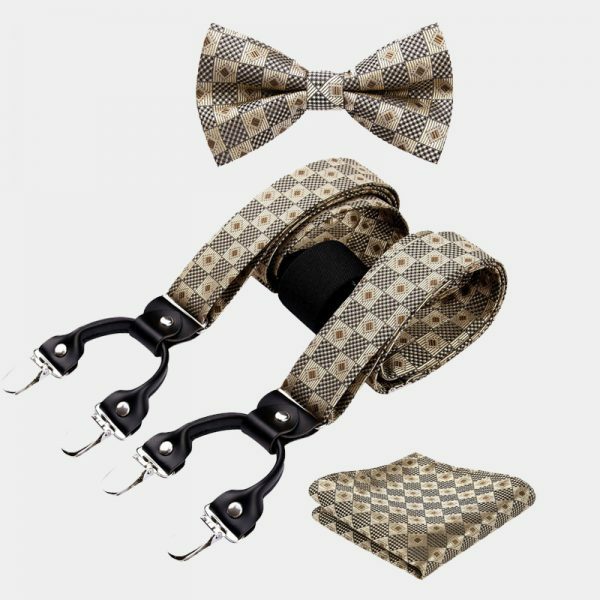 These stylish sets are handcrafted using only high-quality materials. 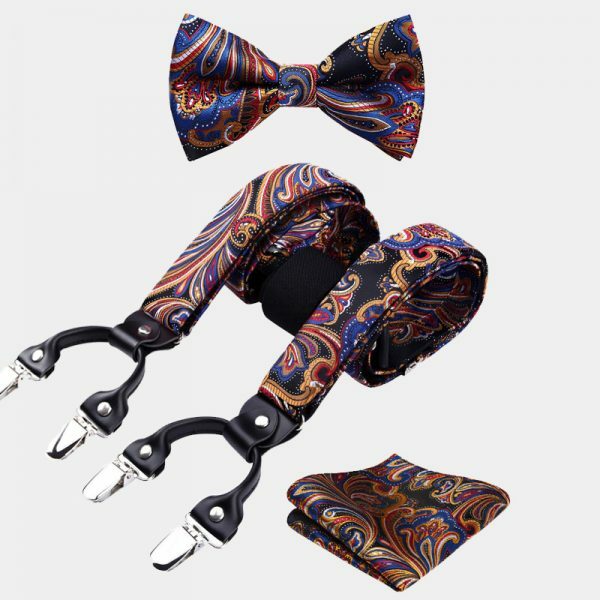 The rich colors as well as the classic striped pattern, combine to create a charming look. 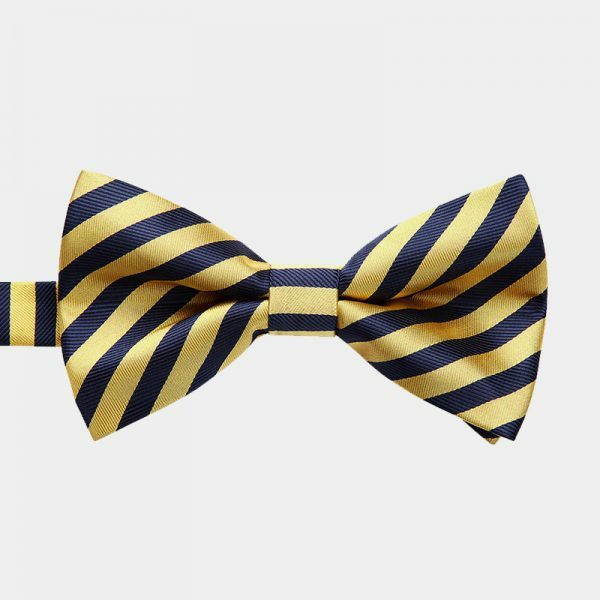 This dashing gold striped bow tie comes pre-tied. 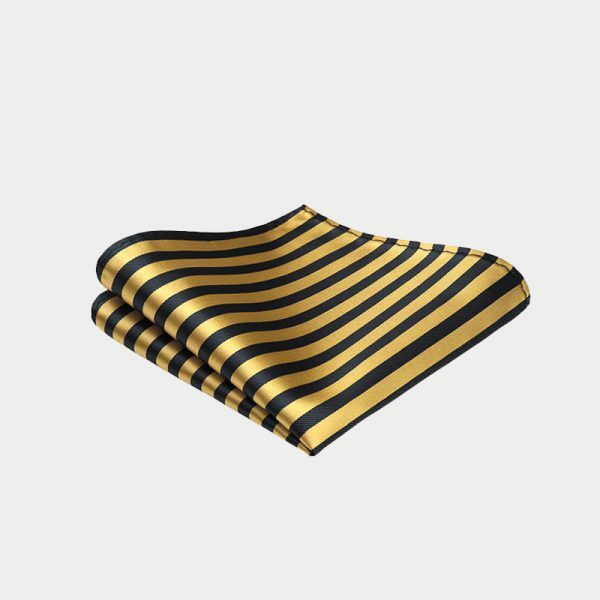 It is a simple no-fuss accessory that is easy to use and always looks perfect. 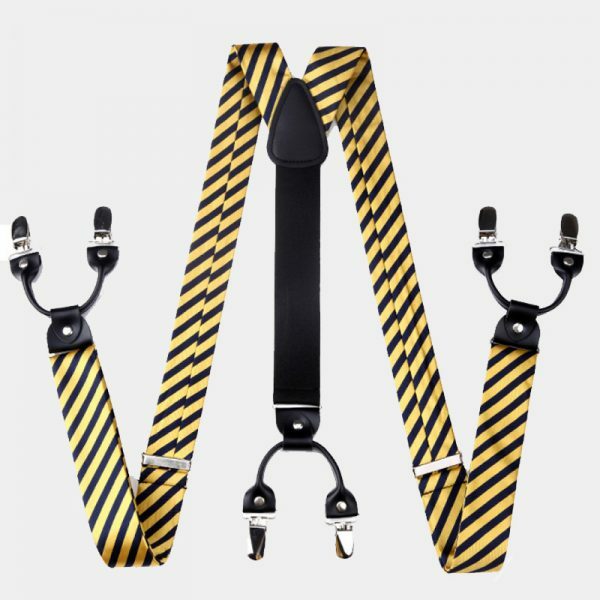 Also included is a set of snazzy slim style suspenders. 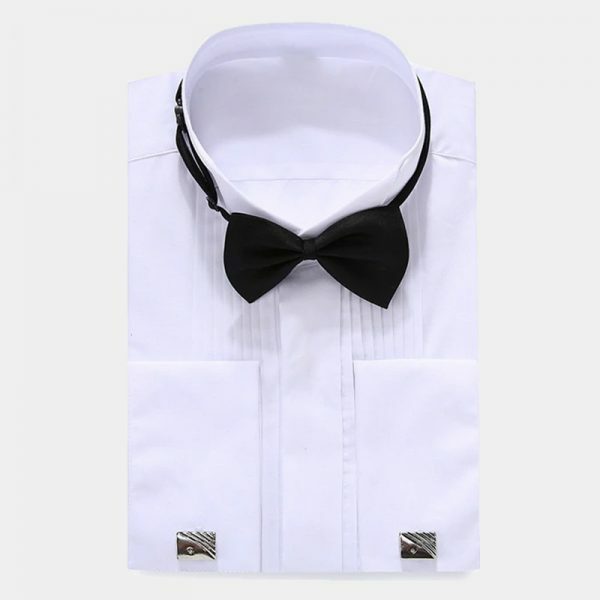 They fully adjust to provide you with the right fit every time. 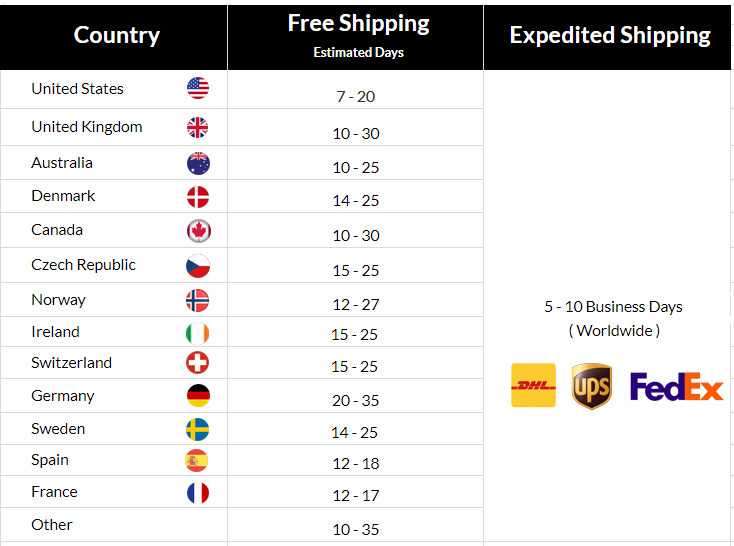 The six non-slip grip clips effortlessly attach to your trousers. 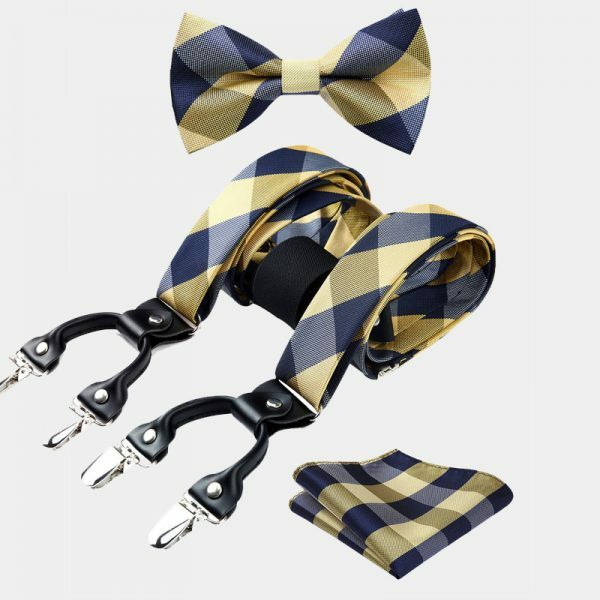 In addition, a beautiful matching pocket square is included with this elegant gold striped bow tie and suspenders set.